I got a parking ticket. What do I do? Parking tickets are issued to a driver who has parked illegally and must be responded to. Not knowing the rules is not an excuse. As a result, drivers are expected to pay attention to parking signs and the rules of the road to avoid getting a parking ticket. Still, accidents and mistakes do happen, so what can you do? Well, there are a few things. Keep reading this guide to find out! What is a parking ticket? You’ll notice that you’ve received a parking ticket when you find a piece of paper attached to your car windshield. These tickets are issued by a traffic officer from either the City of Calgary or a private company who owns a parking lot (check for signs). All vehicles except those belonging to the Police and City of Calgary, parked in spaces where payment is required, must make a payment for the entire duration the vehicle is parked in that space. If no payment was made or if the vehicle was parked for longer than the time paid, a parking ticket can be issued. Parking tickets can only be issued by a Peace Officer; this includes Police Officers, Special Constables and Bylaw Enforcement Officers. What is a parking infraction? Failing to display placard for Disability/Handicap parking stalls, or parking in a Handicap stall without having the right to do so. Parking too close to a stop or yield sign, or a fire hydrant. How do I pay for a parking ticket? One of the easiest ways to pay for your ticket is by going online. If it was a ticket issued by the City of Calgary, you can visit the CPA website. If the ticket was issued in a private parking lot, you might have to look for payment instructions on the backside of the ticket. Pay by mailing a cheque or money order. Pay in-person either by cash, debit card, cheque, or money order. City Cashiers – 800 Macleod Trail SE, open Mon – Fri, 8:00 am – 4:30 pm. Please note: the City Cashiers do not accept credit cards. Ask the Justice of the Peace what your options are. If you need extra time to pay, ask the Justice of the Peace for an extension. Ask to see a First Appearance Prosecutor and explain your financial circumstances. Contact information for this process should be on your parking ticket. If you need help with this step, contact Calgary Legal Guidance (403-234-9266) or Student Legal Assistance. What if I don't agree with the ticket? If you do not agree with the ticket and want to argue against it, you can request an Administrative Review. The CPA will not pursue your parking ticket any further if an error is found. You can appeal your parking ticket in court if you know you have a good case. The CPA doesn’t have the authority to withdraw tickets based on compassionate reasons or mitigating circumstances. Plead not guilty by completing the appropriate section of the violation ticket and mailing that plea to Provincial Court. Appear before a justice of the court on the “first appearance date” found on the violation ticket. 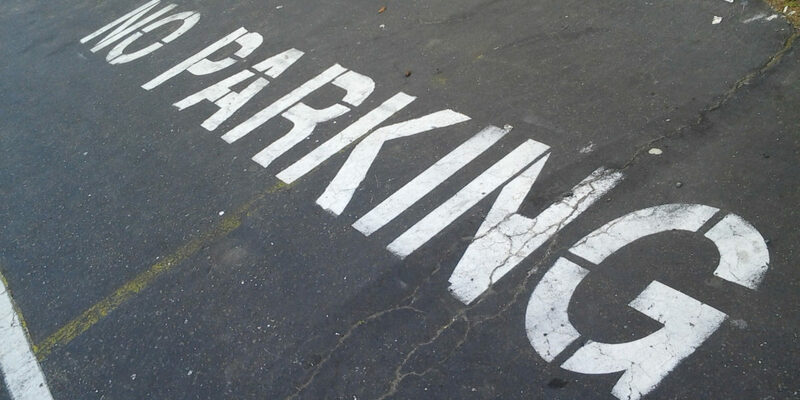 It is important to note that due diligence is required in parking to avoid being ticketed. If you fail to appear in court on any scheduled dates, the court may convict you in absence and face additional fees. Also, be aware that there are private companies running parking lots in Calgary. These companies also issues parking tickets to vehicle owners who commit packing infractions. It is in your best interest to avoid these tickets as well; even though enforcement of private parking ticket may not be as controlled and regulated as the city of Calgary parking services; these company can also take you to court to recover the violation charges. Any parking ticket issued by a private company is a civil matter and is between the user and the company. The property owner or their representative can call CPA in to ticket and tow a vehicle from their property if you do not follow their requirements to park on their property. Thanks to Yaqub Adepoju for help with this guide. If you want to suggest a correction to this guide, or want to submit one of your own, please contact us.